A recent study in Austria determined that many apparently healthy cats excrete glucose in the urine. Glucosuria usually occurs due to elevated plasma glucose level and/or impaired renal glucose absorption. However, existing literature indicates that nearly all urine samples from humans contain some amount of glucose. Thus, the term “basal glucosuria” is now used to describe excretion of glucose in the urine when blood glucose concentration and renal tubular function are both normal. The suspected cause of basal glucosuria is leakage from distal renal tubules. 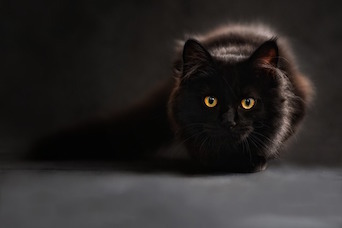 Austrian investigators recently examined the frequency of basal glucosuria in apparently healthy cats by retrospectively examining records from euglycemic patients. Their findings were published in the Journal of Animal Physiology and Animal Nutrition. The investigators searched records for feline patients presenting to the University of Veterinary Medicine in Vienna over an 11-year period. They retrieved all cases for which blood work and urinalysis were performed, then excluded samples from patients that were diagnosed with conditions that could affect glucose levels, including diabetes mellitus, hyperthyroidism, and kidney disease. Samples from cats receiving glucocorticoid therapy were also excluded. Urinalysis consisted of refractometry, sediment microscopy, dipstick analysis, and quantitative measurement of glucose, creatinine, and protein. A positive dipstick result indicated a urine glucose concentration exceeding 2.78 mmol/L or 50 mg/dL. The investigators also used the available data to calculate urine glucose-to-creatinine ratio (UGCR) for all samples. Separately, the authors also validated the study’s glucose measurement method by testing serially diluted feline urine samples containing a wide range of glucose concentrations. From this, they determined that the test had a lower limit of detection of 0.11 mmol/L for urine glucose and was highly repeatable. Urinalysis results were available for 132 euglycemic cats. Eighty-eight percent of cats were domestic shorthair, and 51% were male. Mean urine glucose concentration in euglycemic cats was 0.39 mmol/L (range, 0.10-1.67 mmol/L). Although all samples were negative on urine dipstick, the authors noted that 7% of samples would have been positive if the study had used a recently developed dipstick with a lower detection limit of 1.11 mmol/L. Mean UGCR for euglycemic cats was 0.026 (range, 0.007-0.517). The authors noted that many samples exceeded upper reference limits for urine glucose (1.48 mmol/L) and UGCR (0.081), suggesting that current reference ranges may no longer accurately reflect normality. Gender and breed did not influence urine glucose concentration or UGCR; however, the investigators found that age negatively correlated with urine glucose, creatinine, and specific gravity values. Hematuria and leukocyturia were noted in 45% and 26% of urine samples, respectively. Also, hematuria was associated with slightly higher urine glucose and UGCR values than those measured in nonhematuric samples. Glucosuria was a common finding in euglycemic cats, suggesting that the presence of urine glucose “is by no means diagnostic for diabetes mellitus or renal glucosuria.” Therefore, the authors suggested implementing the term “basal glucosuria” to describe detection of urine glucose in otherwise healthy feline patients.